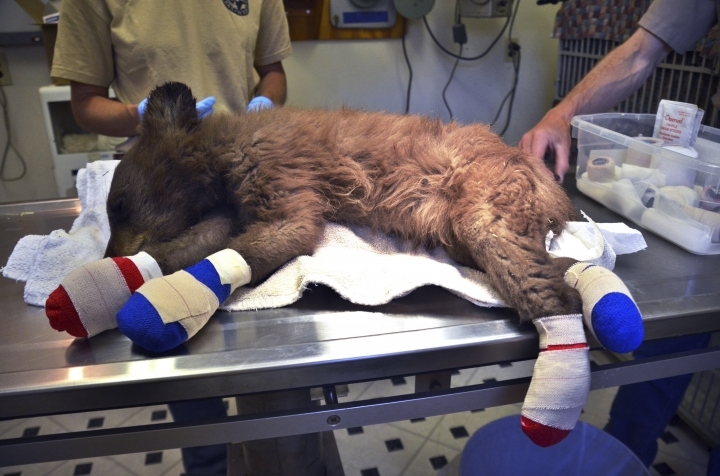 DENVER — An orphaned bear cub burned by a Colorado wildfire is healing and gaining weight. Wildlife officials said Friday that the bear no longer has to wear bandages on her feet, which were severely burned by flames north of Durango last month. The cub has more than doubled in size, to 26 pounds (12 kilograms), since firefighters spotted her. And she's left her cage to live in a pen with other cubs at a rehabilitation center. 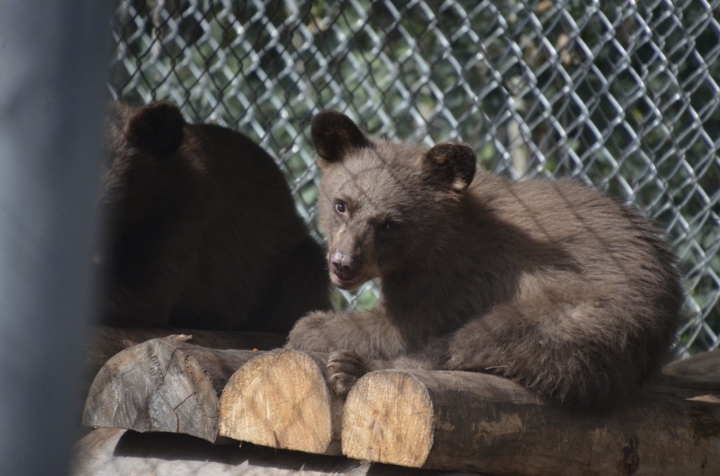 In a statement from Colorado Parks and Wildlife, veterinary technician Michael Sirochman said the bear began pulling off her bandages about two weeks after she was rescued as she began to feel better. Officials plan to return the cubs to the wild as they hibernate this winter, allowing them to wake up there in the spring.